Sometimes retiring or getting older also means having a tighter budget. When you aren’t working anymore, there’s no prospect of getting a raise. Whatever your budget is from social security or savings, it likely won’t change any time soon. And even if that number is small, one good thing about it is that it will be mostly consistent. That allows you to make a budget with more certainty. Keeping your finances in order will be the key to feeling less stressed about money. Whether you prefer using pencil and paper or you like to keep track of things online, the first step to managing your finances is to record and budget for your expenses. 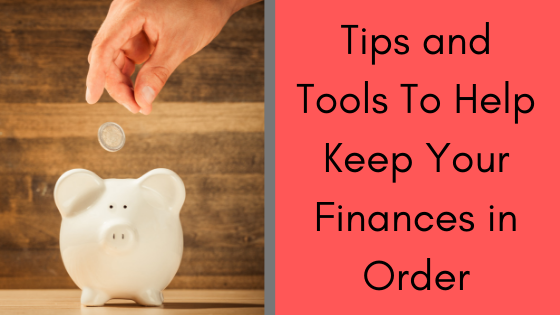 You will quickly see where you may be overspending, and you will hesitate to make impulse purchases, knowing you have to keep track of every penny. If you don’t already have a budget in place, the first step is to record your essential expenses. Make note of any recurring payments, like your electric bill, and keep in mind that may fluctuate during the year. After you have a good idea of what your base level of spending is for housing, food, and utilities, see how much money you have left out of your monthly income. Try to save a percentage, then budget the rest into categories like entertainment, clothing, travel, etc. Even if you don’t buy clothes every month, if you put $20 in your clothing budget (and don’t spend it on eating out!) in several months, when you need new shoes, you will be able to buy them without having to sacrifice from an essential area. Some banks are more “senior friendly” than others. Find a bank that will be supportive of any needs you may have as you maintain your account. Support can be shown in a variety of ways, including providing large print copies of materials, hiring employees that talk in a clear, non-condescending manner, and providing extra fraud protections. Although no one wants to think about themselves cognitively declining, you should still prepare for the possibility. One way to do this is through fraud protections that involve sending family members alerts if large withdrawals are made from your account, or locking your debit card to a specific geographical area. Another barrier to money management can be low vision. That’s why ILA provides products that help count and track your money. Convenient, accurate and compact, the new iBill Talking Banknote Identifier enhances independence and confidence with ease of use. The new iBill offers accurate and immediate identification of paper money while being compact enough to go anywhere. Increased volume makes it easier to use in noisy places as well as for users with hearing difficulties. The earphone jack provides an alternative to the vibration mode as well as providing additional privacy. A redesigned slot makes it even easier to insert the bill, and the recessed buttons prevent inadvertent activation when the unit is in a purse or pocket! portable and desk-sized large print check and deposit registers, the CAN-DO Low Vision Pen, a low vision calculator, and an Expense Management Log. This heavy-duty plastic guide has cutout fields to assist in writing the necessary information on a standard 2 3/4″ x 6-inch check. For even more tools that can help with money management, check out our Writing Guides & Money category on the ILA website. Hearing aid battery life isn’t completely under our control. Batteries will run out at different speeds depending on how often you use your hearing aid, what type of battery you have, and what type of hearing aid you use. However, there are a few tips that, if you follow them, will at least help you get the most life out of your batteries as possible. Did you know that when you open a new battery and pull the tab, you should let the battery sit out for about five to ten minutes to “breathe”? That may sound funny, but it’s true! When outside air hits the materials inside the battery, it activates them. 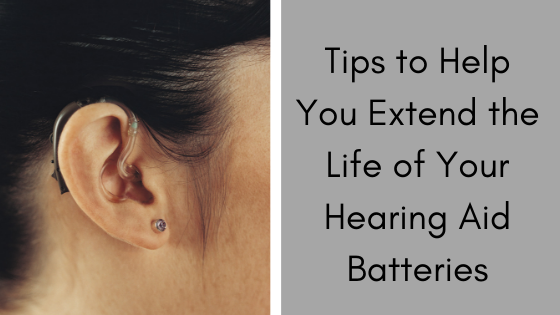 Putting your battery into the hearing aid too soon can shorten the battery life by a few days. Wash your hands any time you change the battery or open a package of batteries. Oils and grime from your hands can clog up the battery (remember- it has to get air!) or damage it. Keep your batteries at room temperature. You may have heard that batteries last longer if you store them in the refrigerator. The thought is that the cooler temperatures will slow down the power leakage from the battery. But with hearing aid batteries, the refrigerator does more harm than good. Hearing aid batteries need to stay very dry, and the refrigerator creates condensation. This can lead to corrosion or shortened battery life. Keep your batteries (and hearing aid) dry. Speaking of staying dry, keep your batteries dry, even once they are in inside your hearing aid. Using a hearing aid dehumidifier can prolong battery life and increase the efficiency of the hearing aid itself. If you keep pushing that one pack of batteries to the back of the drawer, by the time you pull it out and use it, you may not get as much life out of them as you’d like. Make sure you are using your batteries in the order that you purchased them, so none of your packs have a chance to sit around and lose power. When you aren’t using your hearing aids, open the battery compartment door. This will keep the batteries from draining, and it will also encourage airflow and help with the moisture problem we’ve already discussed. If you’re not going to use your hearing aids for a long time, go ahead and take the batteries out. This gets even more air flowing than opening the compartment door, and is an even better way to prevent corrosion and moisture build up. Need new batteries? This week ILA has several on sale. Renata Maratone + replaces all size 13 zinc air batteries, including high power batteries. People with dementia often lose track of the time, date, or even if it’s day or night. If you are a caregiver, you may find yourself arguing with a loved one about what day it is, or what activities it’s time for them to do. This can cause strain on your relationship- especially if you are asking them to believe your word over what they perceive to be the truth. One way to mitigate these types of situations is to transfer the authority (and blame) to an inanimate object- the clock. Even if your loved one already has a clock or watch in their home, you may not be getting the most use out of it. 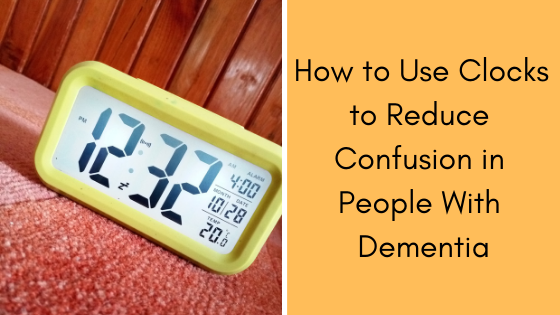 Choosing clocks that are clear and easy to see, that have alarm functions, and that display the month and day, will make everyone’s lives a little easier. Sometimes people with dementia also have age-related vision loss. Even if they don’t, visually tracking tiny numbers can be confusing. That’s why choosing a clock that is designed for people with low vision is a win-win situation. Also, using a digital clock is ideal. Analog clocks can be challenging to read because the viewer has to remember how to tell time on the analog clock. Digital clocks with jumbo-sized numbers offer the best combination of features. Most clocks come with a standard alarm feature. This is fine for a one time task, like getting up in the morning. But what do you do if you have multiple activities you would like to alert your loved one to throughout the day? Even if you get a clock that has the multiple alarm feature, how can they tell what each alarm is signaling? This is where clocks like the Your Minder Personal Recording Alarm Clock come in really handy. The Your Minder Personal Alarm Clock can record your own voice and play back a personal alarm or reminder for each alarm. Record up to six of your own alarm messages to alert users when it’s time to take medication, get out of bed, walk the dog- or whatever they need to do! It’s one thing to see and know what time it is, and it’s another to keep track of the day of the week and the month of the year. Your loved one may understand it’s morning because they can see the sun coming through their window. But what if they have trouble remembering what day it is? If they have special activities they look forward to every week, they may keep those activities in the forefront of their mind and ask you every day if it is time to go. Using a clock that has both a day and month display can help with this problem. If water therapy is on Wednesday, and today is Tuesday, you don’t have to bear the disappointing news. You can gently direct your loved one to look at the clock and let you know what day it is. Or if they think it is the month of their granddaughter’s birthday, you can ask them to check the clock to verify if it is June yet. None of these ideas will work 100% of the time, but they will certainly cut back on the potential for misunderstandings. We often focus on adult-oriented low vision products because about 45% of low vision is caused by age-related macular degeneration. But low vision affects people of all ages. Some of our children’s toys were created to be adaptive, and some of them just happen to work well for kids with special healthcare needs. Moshi Snuggle Pals are cute stuffed animals that unfold to form a soft pillow. Snuggle pals are great for children who are seeking sensory input or who have low vision. The jumbo size and tactile appeal make them fun to hold and pet. ILA carries several different animal types of Snuggle Pal. The CAN-DO Basketball Kit adapts basketball by using a ball with a bell, a goal goal-locator buzzer, and a bell to hang on the net. The goal locator buzzer helps kids find the goal, and one they make a basket, they’ll hear the bell ring in victory. For the littlest people, we have braille ABC Wooden Blocks. Made from sustainable Michigan basswood, the 28 block set has both Braille and embossed letters on the block, along with traditional letter forms. Alphabet blocks are a classic toy for young children. Rubik’s Cubes are so popular that we knew we had to carry one. The Tactile Rubik’s Cube is a modified cube that has different tactile markings for each color on the cube. The cube is the same size as the timeless classic, making it just as much of a challenge. Go Fish! ILA carries braille playing cards. Our cards are the same size as a standard deck, so you can enjoy playing any card game. 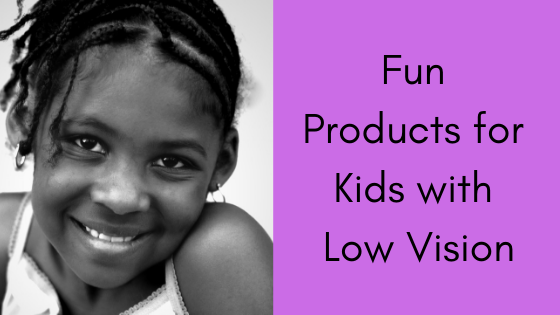 This week, since our focus is on kids, we are offering some of our kids’ items for sale. This extra-large magnifier is perfect for small hands. Observe the world on a grand scale through a jumbo lens that measures 3.5″ in diameter. The magnifier gives 4.5x magnification. Colors vary. Did you know? Puzzles increase vocabulary, develop hand-eye coordination, improve memory, and build literacy skills. And this 8-piece musical instrument puzzle also develops listening skills. When a child places a piece in its correct spot, the instrument plays. Children will learn to distinguish between the different types of instruments. Teach time management skills with our Jumbo Timer. When the time is up, a buzzer sounds and a button pops up. The Jumbo Timer helps structure independence in activities. And don’t tell the kids, but you can borrow this as a kitchen timer as well. The large size and contrasting colors make it easy to see. Don’t forget to check out all of our other kids’ categories, such as educational products! For most people, Daylight Saving Time is an annoyance. The long-term economic benefits are not easily observable, but the immediate inconvenience of resetting clocks and trying to get to bed a bit earlier is apparent. The average adult used to spend 10 minutes resetting their clocks twice a year. That’s not a long time, but it does add up. And when you consider how many people accidentally re-set their clock in the wrong direction, imagine how much productivity could be lost! Fortunately, the use of atomic clocks and internet-based is on the rise. 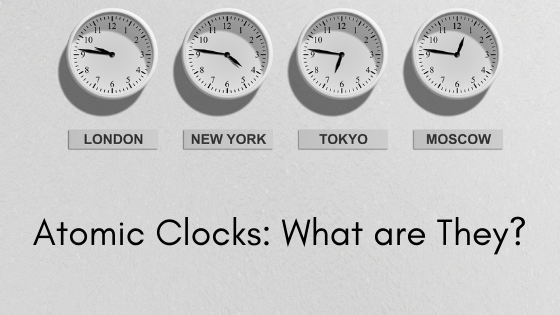 Atomic clocks are helping people save time and avoid confusion. They provide peace of mind, knowing that your time is always correct. An atomic clock is a clock that uses the vibrations of molecules to keep time. The technique of atomic beam magnetic resonance was developed in the 1930s. By the mid-40s, Columbia University professor, Isidor Rabi, was considering how to use this resonance to measure time. In 1949, the National Bureau of Standards announced the first atomic clock. The vibrations of an ammonia molecule were used to measure seconds. In 1952 the measurement tool was changed to cesium atoms. Over the next ten years, scientists worked to perfect the atomic clock. Finally, in 1968 the world’s most stable cesium clock was completed. It has an error margin of one second every 20 million years. Most of the atomic clocks you buy for your home aren’t literally keeping their time by running off of vibrating cesium atoms. Instead, they synchronize with the time kept by a true atomic clock at the National Institute of Standards and Technology (NIST). This synchronization is done through a special radio wave that transmits the date, time, whether it’s a leap year, and whether it’s Daylight Saving Time. Typically, these clocks check their time through the radio signal every few hours. This keeps their accuracy within half a second throughout the day. To make your life easier, ILA offers a variety of atomic clocks. Our Atomic Talking Time and Date Alarm Watch is ideal for anyone with visual impairments or who is Blind. The hour and minute hands, as well as the numbers, are a bold black that provides good contrast with the white face. The watch also clearly speaks the time, day, date, and month in a pleasant male voice. All you have to do is set your time zone, and you will always have the exact time. For keeping time on the go, the Talking Atomic Keychain Clock gives you the convenience of an atomic clock on your keychain! It has a large green talking button which will announce the time and the date whenever pressed. It works anywhere in the US and UK because it detects the time via radio signal. And while it comes attached to a keychain, it also includes an additional thin 30″ string lanyard for wearing around the neck. If you want a little more functionality, the ILA Atomic Talking Clock w/Alarm, Calendar and Wireless Outdoor Temperature Sensor is a talking atomic alarm clock that has all the bells and whistles. And it speaks all the functions to guide you through the settings. Find out the time, date, and indoor and outdoor temperatures. Use the voice function, or for those with some vision, the information is also digitally displayed in large numbers. To see our complete line of atomic watches and clocks, click here for watches, and here for clocks. 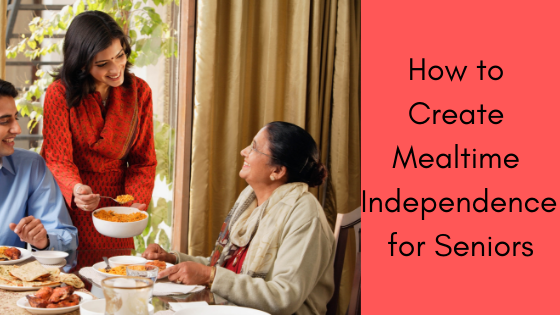 If you are the caregiver for a senior adult who struggles with mealtimes, you understand the fine line between promoting independence at meals and being an enforcer of healthy eating. Whether or not they eat food, or what food they choose to eat is often one of the few things people can still control when other things in their life start to feel out of control. This sometimes leads to an unhealthy pattern of only choosing things that taste a certain way, or refusing to eat enough out of frustration with physical limitations that make self-feeding difficult. It is tempting to go to extremes by either taking a hard stance on mealtimes or just throwing up your hands and refusing to give any guidance at all. But there are ways to create a healthy balance between independence and assistance while keeping mealtimes a pleasant and stress-free experience. Having the right attitude and employing a few eating aids can go a long way towards helping your loved one enjoy mealtimes again. The first (and easiest) thing to change about mealtimes is your attitude. When you approach mealtimes as a stressful battle, you are setting the stage for problems. Older adults, especially those with dementia, will often pick up on body language and tone of voice more than the words you are saying. If they feel a confrontational vibe, they will mirror that. This will sometimes result in rigid feeding behaviors, like refusing to eat or choosing a limited range of foods. Mealtime should feel relaxed and pleasant. If you are used to dropping food off in front of your loved one and then using that time to catch up on housework or “me time,” you may want to reconsider. Sitting together at mealtime, sharing a meal, and having conversation will make your loved one feel comfortable and valued. Pleasant, safe feelings lead to better eating habits and encourage a willingness to try new things. Also, this time together will give you the opportunity to notice if they are experiencing any attention issues or fine motor issues that may make feeding difficult. You can use verbal cues to keep them focused on their meal, or to help gently direct them on how to get the food on their utensil and into their mouth. They may need help with the sequencing of events, or they may have side neglect from stroke, and fail to see the food on one side of their plate. Some mealtime problems may be due more to physical issues than mindset issues. Does your loved one have arthritis, a weak grasp, or other hand limitations? Special utensils can help. For example, a built-up-handle fork is perfect for people with upper extremity weakness or reduced range-of-motion. This type of fork features a built-up handle with a contoured shape. That makes it easier to hold and use. Maybe your loved one gets frustrated at chasing food off the edge of their plate. The Inner Lip Plate is designed as an aid in self-feeding. The inner lip holds the food on the plate, while they bring their fork or spoon to the edge of the plate. It’s perfect for use at home because it blends in with regular tableware. Plus, it’s dishwasher and microwave safe. An aid like the Stress Less Drink Holder can reduce spills and frustration. Set it beside your loved one’s favorite comfy chair or couch, bedside, desk, or even dining room table. The Stress Less can accommodate a variety of beverage containers from mugs, coffee cups, glasses & tumblers. It has a built-in Coaster and a Handy Holder for personal items like tea, sugar packets, a pen, magnifier, even their glasses, or whatever they wish to place in the handy slots. And the coaster rim helps contain any unintentional drips or spills. Check out all of our eating helpers and utensils here. Shower Chairs: Should I Get One? Admitting you need a little help in the bathroom can be difficult. It’s one thing to talk about installing a few grab rails. It’s another to start thinking about using a special chair for toileting and showering. However, a shower chair may be your safest option for transferring and bathing. And there are lots of reasons why you may benefit from one. Why should you use a shower chair? Shower chairs (especially those that roll from toilet to shower) are sometimes seen as something that only wheelchair users need. While they are a vital part of many wheelchair user’s supply of adaptive equipment, you don’t have to have mobility limitations to need one. You are recovering from surgery. You have POTS or faint easily. You have some limitations to your mobility. You like sitting down while showering. You are a fall risk from medications. The list could go on. But what it boils down to is your comfort and safety. If you feel more stable and comfortable in the shower when using a chair, then don’t put limitations on why you could justify getting one. 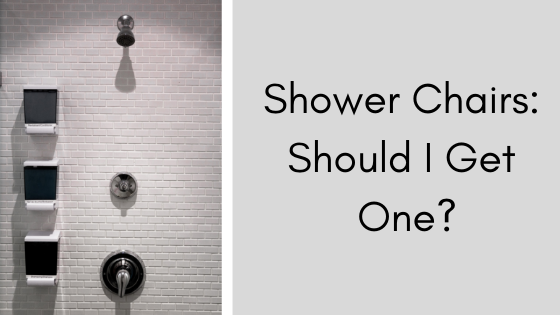 What kind of shower chair should you buy? There are all kinds of shower chairs, and they have a wide range in function and price. You can find anything from a simple bench to a waterproof wheelchair. Bench options are usually the most basic, and also the most economical. They function simply as a seat. Typically they are made of plastic and have holes for water drainage. Benches are usually lightweight, easy to move, and cost around $40. A step up from a bench is a chair (or a bench with a back). These pieces of equipment are very similar to simple benches, but have extra features. Usually, a chair will have a back, some kind of handles or armrests to help you transfer, and they are a bit more sturdy. Depending on how many extra features they have, they can range from right above the $40 mark to a few hundred dollars. And the terminology used for what you might consider a “chair,” and “benches with backs” seems to be interchangeable- so make sure you search for both. The most supportive option is a shower wheelchair. These chairs can usually roll from toilet to shower, and they have an opening in the bottom. Most of them also have to be propelled by an attendant, but it is possible to find a few that have wheels you can self-propel. ILA carries the mobile Combi commode/shower chair. It is one of the wheelchair-type shower chairs. The Combi allows the user to sit down safely and comfortably during toileting or showering. It has toilet rails and can be used either freestanding, with an optional bucket, or it can be positioned over a toilet. The best part is how easy it is to move and maneuver in different settings. And the stainless steel materials are easy to clean. The Combi is on sale this week. But if it doesn’t fit what you are looking for, you can check out the full range of our bathing and bath accessories here! 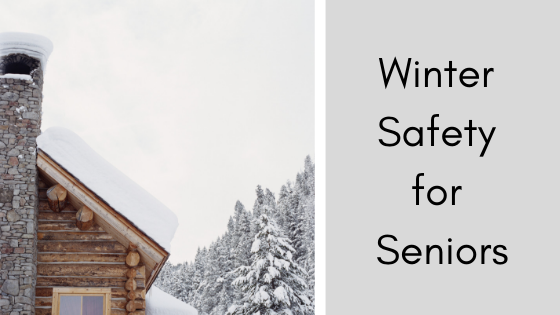 Depending on where you live, winter can come with harsh temperatures and environmental conditions. Even in milder climates, the changes that do occur can be just enough to cause difficulties for seniors. You might think that the cold weather is the biggest challenge. But other difficulties come with winter that you should be just as aware of. Most wintertime injuries come from slipping and falling on icy surfaces. Older people often have trouble with balance and reaction time, making it more likely that they will have an accident. And minor accidents can cause major trouble for seniors. They can take longer to heal and may get more complications from fractures and breaks. To avoid slipping, practice good fall prevention techniques. Wear shoes that have non-slip soles. These types of shoes aren’t slick on the bottom. They provide good traction. Also, think of the bottom of your cane or walker as you would your shoes. If the tips are worn out and slick, they are likely to slip as well. Go ahead and replace them with new tips that grip. Once inside the house, be aware of wet spots by the door. If snow and ice come in on your shoes, it can melt and make puddles of water. Take off your outdoor shoes as soon as you come in. Then place them away from the door, or on a mat that will absorb the water from the melting snow. Avoid driving on ice. If the conditions are bad, find someone else to drive you, or use public transportation. If the roads seem okay during the day, you still might want to stay off of them at night or in the early morning. Lower temperatures overnight can cause water to freeze on the roads during those hours. Lower metabolic rate makes it difficult to maintain a normal body temperature. Perception of cold may be altered in older people. Hypothyroidism and diabetes can contribute to hypothermia risk. Medications can suppress vasoconstriction and the shivering response. Decision making may be affected by medical conditions. Hypothermia can be prevented by dressing warmly and setting the inside temperature to no lower than 68. It may be tempting to try to save on your electric bill, but mild hypothermia can happen at temperatures as high as 65 degrees. When going outside, make sure to bundle up with layers. Coats, hats, gloves, and scarves should be worn, even if you think you are only going to be outside for a little while. Cold weather limits how much you can go outdoors. And staying inside often limits the variety of food and exercise you get. When staying in, it’s easy to feel lethargic and resist doing intentional exercise or planning meals. But sitting around watching TV under a blanket all day is not good for your health. Make time every day to do some indoor exercise. Only 15 minutes a day will make a difference. Find some free videos on the internet and follow along with their program. Or use pedaling machines and free weights to create your own routine. Eat as wide a variety of foods as you can. Commit to making meals from scratch a certain number of nights a week. Make a weekly grocery store trip. Eating the same old frozen or canned meals day after day can contribute to nutritional deficits. Continue to incorporate as many fresh fruits and vegetables in your meals as possible. You may also want to ask your doctor to test your vitamin D levels to see if you need to add a supplement to your routine. Take care of yourself in the winter so that you will be in tip-top shape for enjoying the nice weather when spring comes again! Need help keeping your temperature regulated? Our talking programmable thermostat will help you maintain an appropriate temperature all day long. This quote, by Sarah Coats, was featured in The Mighty article, “23 Truths Blind and Visually Impaired People Wish Others Understood.” There is a lot of misinformation about low vision. 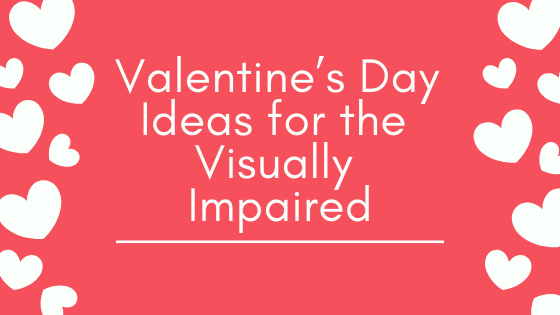 February is the month designated to promote awareness about what low vision is, and make people aware of the benefits of vision rehabilitation. The term “vision rehabilitation” may cause some confusion. We usually think of rehabilitation as a process where you work from being sick or injured to not having those difficulties anymore. 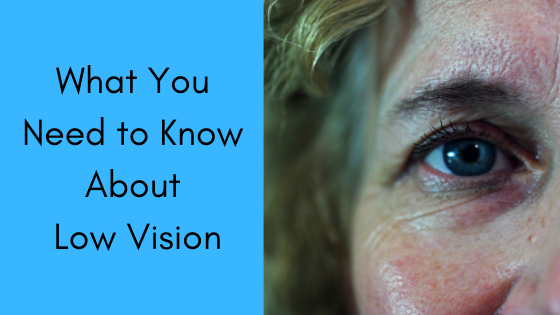 And when we’re talking about vision loss, it may seem that in many cases rehabilitation isn’t possible. Once your vision is gone, it’s gone. But vision rehabilitation has a much broader meaning. While it can include medications or surgical procedures, it also includes adaptation. The focus of vision rehabilitation is for people to maintain their current lifestyle, no matter what new devices or skills are needed. Vision rehabilitation is usually done by a team of professionals. Often there is an optometrist or ophthalmologist who specializes in low vision. They may be supported by occupational therapists, mobility specialists, low vision therapists, counselors, and social workers. The focus of the program is usually on how to use devices, such as magnifiers, or other adaptive equipment, how to go through your activities of daily living safely and independently, and how to modify your home to make it more accessible. Just because someone has low vision does not mean they are completely blind. Many people with low vision can see light, shapes, and colors to varying degrees. Sometimes just having better lighting, more contrast, or larger letters can help someone with low vision be able to read or manipulate an item. There are many causes of low vision. One of the most common health conditions that causes low vision is age-related macular degeneration. Cataracts, diabetes, and glaucoma also damage your eyes. These are conditions that are typically found in older adults. But birth defects and eye injuries can cause low vision at any time of life. That said, low vision is most common in people over the age of 65. Because vision loss can come on gradually, sometimes it’s hard to catch the early signs and symptoms. And if you wear contacts or glasses, you may just think your prescription needs to be updated. If you have signs of vision loss, the sooner you go to see the doctor, the more likely it is that you will be able to retain some of your vision. ILA has many products that help with vision rehabilitation and independence around the home. Check out our VISION page to see all the categories.